New Delhi based Puranam Designs are back with their latest creation. 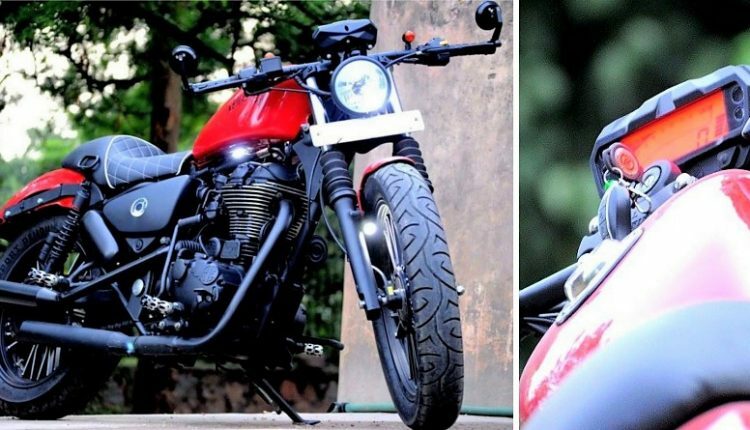 Named as Royal Enfield Thunderbird Abdias 6:33, the custom built motorcycle looks clearly inspired from Harley Davidson 883 from certain angles. 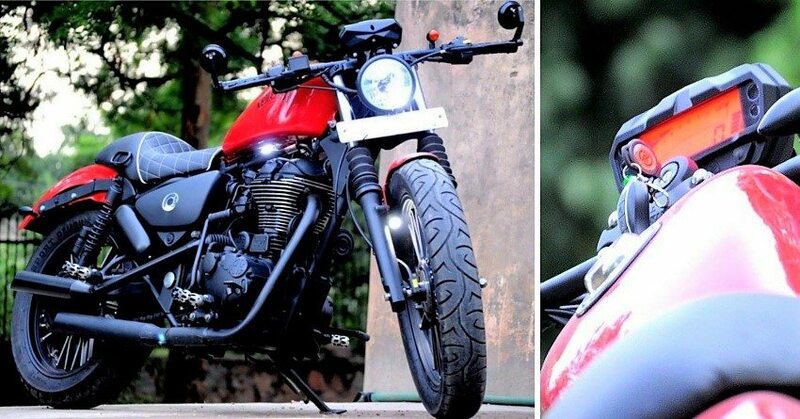 They got a clear benefit by choosing Thunderbird 350 instead of Classic 350 or Bullet 350 as already black/chrome finished engine looks perfectly synced with the motorcycle’s profile. 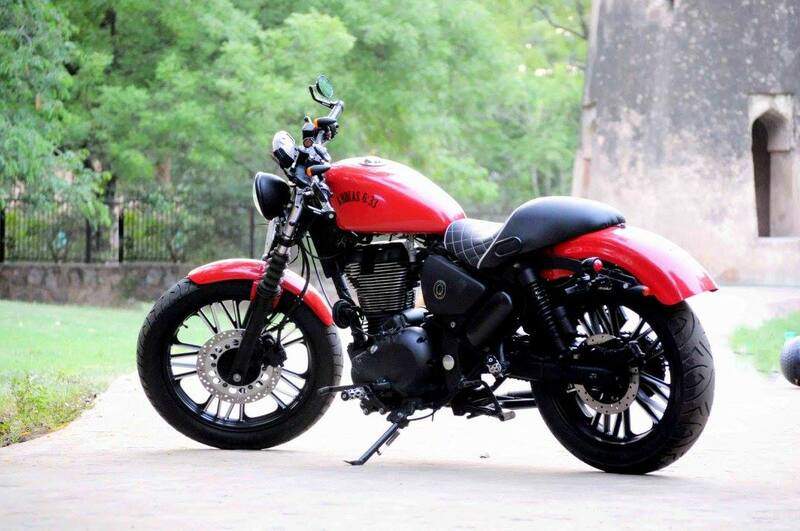 It even looks closer to the finish that buyers get on Iron 883’s engine. Adding another dummy exhaust pipe along with a real custom unit helped them achieve the super bobber stance on Abdias 6:33. 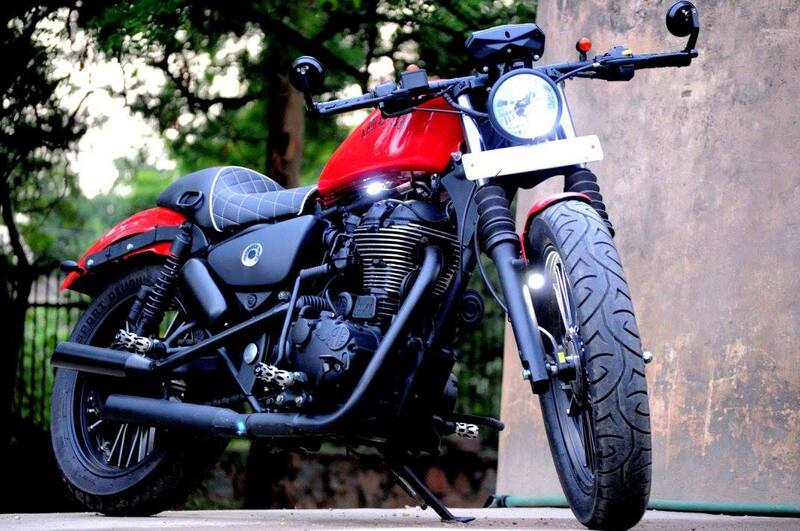 The cylindrical panel next to its rear suspension is exclusive to Thunderbird series and looks perfectly planted on this custom bike. Finishing rear and front suspension in black (through rubber covers at front and paint for the rear) was another sophisticated move to enhance overall riding stance. Y design, multiple spoke alloy wheels with dual tone finish further completes the package with perfect contrast. They have used peanut fuel tank, Harley inspired seat and almost similar looking rear fender on RE Thunderbird Abdias 6:33. Surprisingly, Puranam Designs have swapped the chrome laden console with Yamaha FZ sourced digital display for clear readability. Front headlight is smaller in size than the unit seen on stock Thunderbird 350. Modifiers have used classy bar end rear view mirrors on this model. 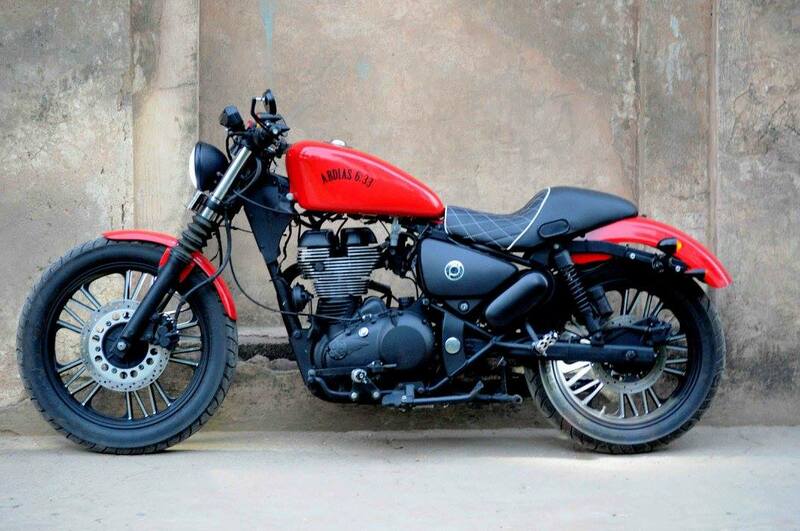 Wider tyres complete this overall beautifully modified motorcycle. The engine available here is a 346cc, single cylinder unit producing 19.8 BHP at 5250 rpm and 28 Nm at 4000 rpm. It comes mated to a 5-speed manual gearbox. 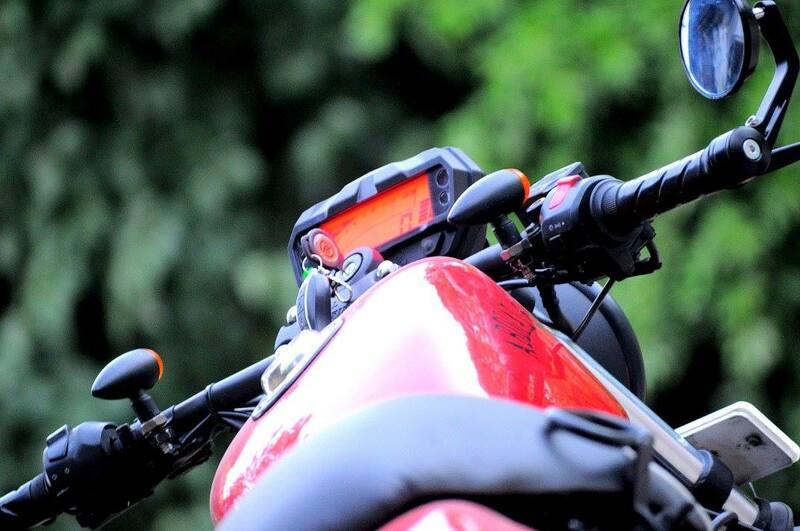 Abdias 6:33 uses the same dual disc setup as available on stock motorcycle. 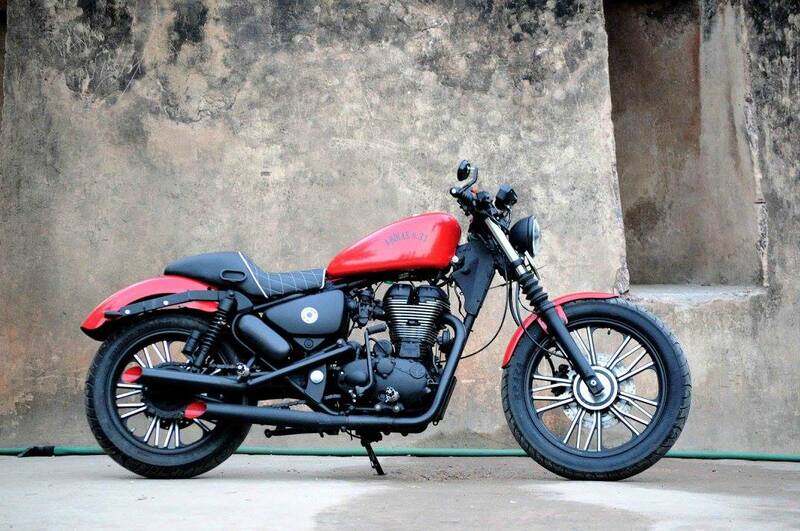 The front fender is also inspired from Harley Davidson Iron 883. Fans can discuss the pricing details for this mod job directly with Puranam Designs.